Find a wide variety of wallpaper styles, colours, fabrics and brands to get the perfect look on your walls. 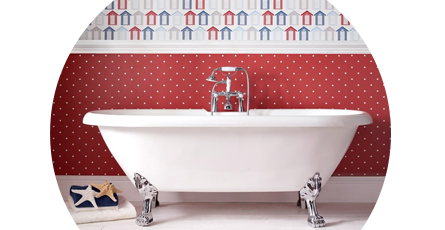 We stock wallpaper which can be used in almost any room including bathrooms, bedrooms, living rooms and kitchens. Whether you're painting walls, radiators, furniture or tiles we have a huge range of stylish colours for a wide variety applications. We stock top quality paint from well known brands at competitive prices. With our massive range of decorating supplies from wallpaper, paint and tiles we're certain that there is something you'll love in our online store. Use our filters to help making your search easier and narrow down your product search by colour, style and brand.